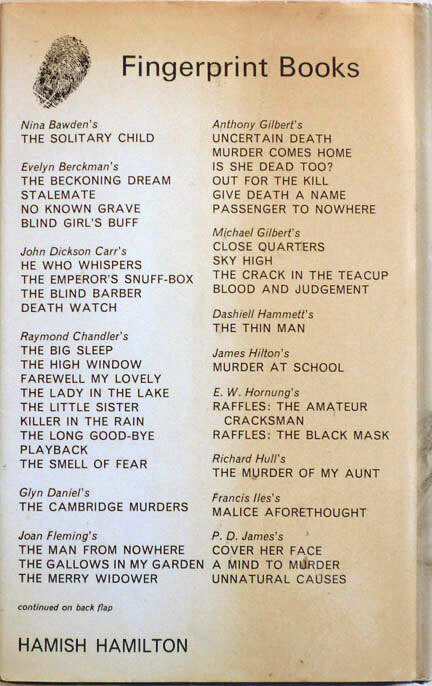 That's the 1976 UK Hamish Hamilton hardback edition of P. D. James' debut novel, Cover Her Face, published as part of Hamilton's Fingerprint Books line. It's not, I should point out, the first edition of the book; that would be the 1962 Faber edition, which, if I'd found one of those in the Lewes branch of Oxfam (where, once again, this book came from), I'd be planning an all-expenses-paid trip to the Bahamas right now instead of writing this post. But it is an early edition, only the second time the book had been published in hardback in the UK, and as such a good find in its own right. The laminate on the dustjacket's yellowing, but other than that it's in nice condition. 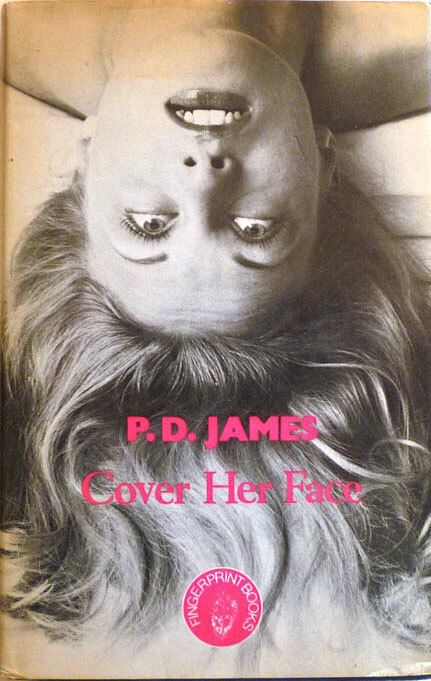 Cover Her Face was one of three P. D. James books issued as part of the Fingerprint line in 1976, the other two being A Mind to Murder and Unnatural Causes, her second and third novels respectively, originally published in 1963 and 1967. All three feature poetry-writing Detective Chief-Inspector Adam Dalgliesh, who I remember best as played by Roy Marsden in the string of ITV telly adaptations in the 1980s.